Bob Gerard currently has a trio of cut price Honda CR-Vs on offer, with petrol or diesel engines. Savings of up to £5880 off the list price can be had. All models are in EX trim which includes cruise control, climate control and leather. See below for full details. New Honda CR-V 2.0i VTEC EX Petrol Auto Crystal Black with Black Leather, £23,495 saving £5880 on UK List, other colours subject to availability. New Honda CR-V 2.2i DTEC EX Diesel Manual with Advanced Safety Pack, £26,500 saving £5545 on UK List. 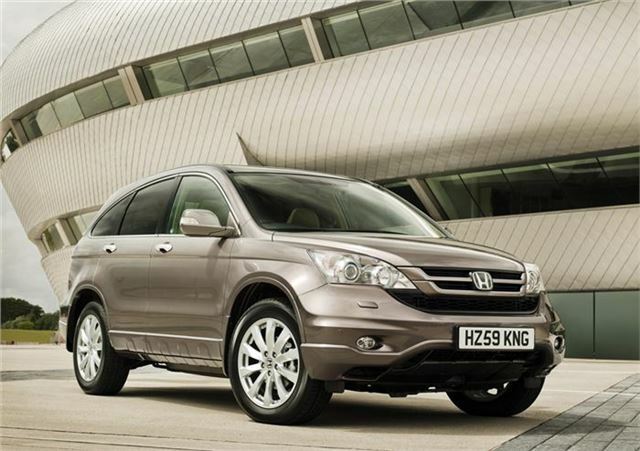 New Honda CR-V 2.2i DTEC EX Diesel Auto, £26,635 saving £4485 on UK List. For more information on these models, contact Bob Gerard on 0116 259 2224, quoting Honest John on enquiry. You can also visit the Bob Gerard website.